New lower price on our Level 3 Diploma. Now even better value for money. Push clients to achieve their goals by designing and delivering full fitness programmes for them. Our Gym Instructor course is your very first step into the fitness industry. It will give you the skills, knowledge and confidence you need to begin your fitness career. Learn how to design tailored gym programmes to encourage gym users to train effectively while ensuring that they work out safely. The popularity of Yoga for its health and fitness benefits continues to grow with both gyms and yoga centres are seeing an increased demand for yoga classes on their timetables. There are many different styles of Yoga. This Yoga Professionals course is based around the practice of Hatha Yoga – the foundation from where many popular styles of yoga have developed. On the course you will learn yoga asanas (positions), pranayama (breath control), mudra (hand positions), as well as meditation and yoga kriyas (cleansing techniques). Want to enhance your career and learn new skills? If you answered yes, the Diploma in Sports Massage might be right for you. The demand for specialists with the ability to treat injuries and aid rehabilitation has grown in the past few years. It’s no longer just athletes that need treatment, but everyday gym-goers. This course will provide you with the skills to design and teach essential and intermediate level matwork classes with small equipment. STOTT PILATES helps to develop optimal strength, flexibility, endurance and posture, without building bulk or stressing joints. This makes it the perfect complement to cardiovascular exercise, athletic training or rehabilitation. This exhilarating module was developed with leading indoor cycling specialists and will teach you everything you need to know to deliver fun and effective studio cycling classes. You'll be in high demand as indoor cycling is one of the most popular classes to hit the fitness industry. This Level 2 Group Exercise to Music course has been recently updated to reflect the latest practice in the industry. It’s the best foundation for all forms of group exercise that you can get. During the course you'll learn everything from the theory behind how the body works, to the practical steps needed to construct an unforgettable Group Exercise to Music class. With the Diploma in Exercise Referral, you'll be using exercise to get your client’s lives back on track after an illness. You'll learn how to use healthy eating principles and exercise techniques to help treat a range of medical conditions. With the growing number of referral schemes in the UK, this specialism is not only high in demand, but highly rewarding and profitable. I'm at a crossroads now, where I can really plan what I want to do with my future. Whatever that is, YMCAfit will be key to getting me there." Browse our courses to develop and learn the skills you need to launch a new career in the fitness industry. You can now get three small group training courses for £350. Invest in your future now and start increasing your earnings. Ease your way into the fitness industry by guiding clients through their workouts. Explore and teach flexible sequences that revitalise the mind, body and spirit. Liberate and reform clients’ bodies using STOTT PILATES techniques and routines. Choreograph and teach your own exhilarating studio classes. Design and deliver fun and encouraging programmes for the mini athletes. Stand out from the competition by becoming an expert in specific training programmes. Use your fitness expertise to inspire others by teaching the next generation of instructors. 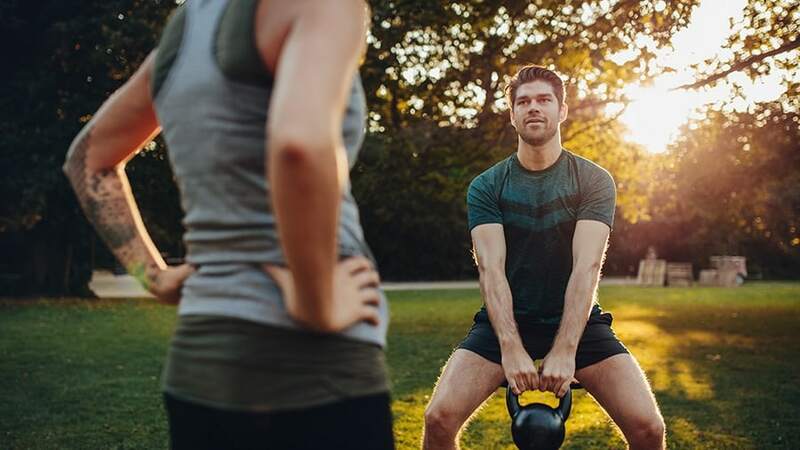 If you are looking to start your career in fitness but are finding it difficult to cover the cost of your training, there is support available. This is part of a Government-backed initiative, so that if you're over the age of 19 you can get a loan to help pay towards your course fees. On some of our courses you can pay with monthly instalments with an interest free Direct Debit to spread the costs over a longer period.